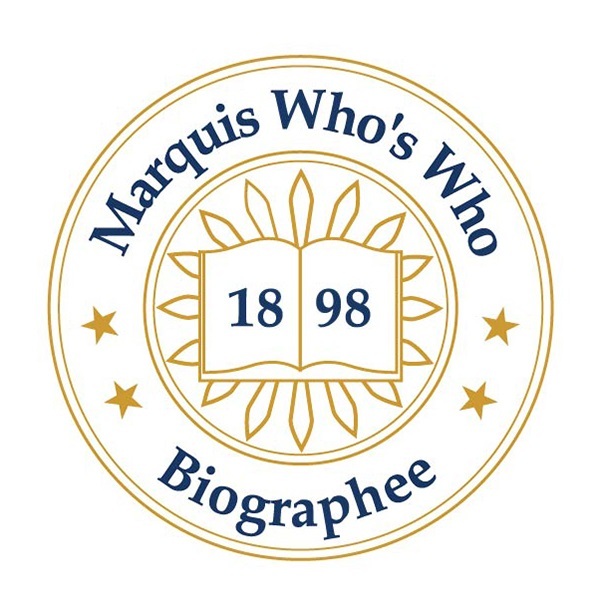 PRINCETON, NJ, October 03, 2018 — Marquis Who's Who, the world's premier publisher of biographical profiles, is proud to present George Kateb with the Albert Nelson Marquis Lifetime Achievement Award. An accomplished listee, Dr. Kateb celebrates many years' experience in his professional network, and has been noted for achievements, leadership qualities, and the credentials and successes he has accrued in his field. As in all Marquis Who's Who biographical volumes, individuals profiled are selected on the basis of current reference value. Factors such as position, noteworthy accomplishments, visibility, and prominence in a field are all taken into account during the selection process. Beginning in 1999, Dr. Kateb has been the William Nelson Cromwell professor of politics at Princeton University in New Jersey; in 2002 he received emeritus status. He has been a politics professor at the university since 1987. Before working at this academic institution, he held numerous roles at Amherst College in Massachusetts, where he began his professional career as a faculty member in 1957. From there, he became a professor from 1967 to 1987, the Kenan professor of political science from 1974 to 1978, and Joseph B. Eastman professor of political science from 1980 to 1987. During his time at Amherst College, he found that the undergraduate students were responsive and had a deep interest in their studies. He greatly treasured these years. Similarly, the undergraduate and graduate students he had the opportunity to teach at Princeton University were serious about the study of political science. Aside from these primary endeavors, Dr. Kateb taught a course at Mount Holyoke College in South Hadley, Massachusetts, in 1958 and at Yale University in New Haven, Connecticut, in 1973 and spent a term at Harvard University in Cambridge, Massachusetts, in 1986. From his teenage years, Dr. Kateb was pretty sure of his future path. He attended Brooklyn Technical High School in New York where he was more focused on sciences. From there, he began his academic pursuits at Columbia University in New York, New York where he earned a Bachelor of Arts in 1952 (highest honors in History and Government; Phi Beta Kappa), a Master of Arts in 1953 and a Doctor of Philosophy in 1960. He found that at Columbia College at Columbia University as an undergraduate student he discovered the world of ideas. As a graduate student, Dr. Kateb studied in the department of public law and government, now known as the political science department. He accepted a fellowship from Columbia University in 1953. From there, he was invited to attend Harvard University as a Junior Fellow in the Society of Fellows (1954-1957). From 1971 to 1972, he was a Guggenheim fellow. He received an Honorary Doctorate of Humane Letters from Amherst College in 1989 and Princeton University in 2008. Along with David Bromwich, he co-edited John Stuart Mill's “On Liberty.” He has also written “Patriotism and Other Mistakes” in 2006, “Human Dignity” in 2011 and “Lincoln's Political Thought” in 2015. From 1961 to 1970, he served as a member of the editorial board of the Massachusetts Review. Beginning in 1972, he was involved with Political Theory where he was a consultant editor from 1980 to 2000. He has worked on the American Political Science Review from 1976 to 1981, the Journal of the History of Ideas from 1976 to 1982, the Journal of Utopian Studies from 1977 to 1980 and Raritan from 1980 to 2002. As an active member of the professional community, Dr. Kateb maintains membership in The American Association of University Professors and The American Academy of Arts and Sciences. He served as president of the New England Political Science Association from 1978 to 1979 and as the vice-president of the American Society for Political and Legal Philosophy from 1972 to 1974. He also holds membership with the International Conference for the Study of Political Thought, and the American Civil Liberties Union. Dr. Kateb has previously been selected for inclusion in multiple editions of Who's Who in America, Who's Who in American Education, Who's Who in American Politics and Who's Who in the East. In recognition of outstanding contributions to his profession and the Marquis Who's Who community, George Kateb has been featured on the Albert Nelson Marquis Lifetime Achievement website. Please visit www.ltachievers.com for more information about this honor.